The day began very foggy and chilly the Caps Ridge trailhead. It was probably in the low 40’s, but I didn’t have a thermometer to check. The forecast had been for a partly to mostly sunny day, but it sure didn’t start out like that. As the day wore on, the fog lifted, but it never warmed up a lot, particularly at the summits, where I’m sure it started well below freezing and never warmed up higher than the mid-thirties. It was also extremely windy up high. The measured wind and nearby Mt Washington was an average of 50 mph with gusts of 60 to 70 mph. After driving 3 miles up the graveled Jefferson Notch Road, I parked the car at the Caps Ridge trailhead and started up the trail around 8:00 AM. The trail began in a low set area, crossing the wetter parts on log bridges and stepping stones, but there were occasional areas where the mud was unavoidable without leaving the trail, which you’re not supposed to do. Soon, the trail climbed moderately, then gently uphill through a mixed forest. After about a mile, I came to a ledgy outcrop with boulders that had huge potholes in them. The guidebook explained that the potholes were formed by rivers formed by the melting of the continental ice sheet. Not far from the boulders, I saw several Canada (Gray) Jays, hanging around looking for food. I got a picture of one, but he turned his head at just the wrong time. 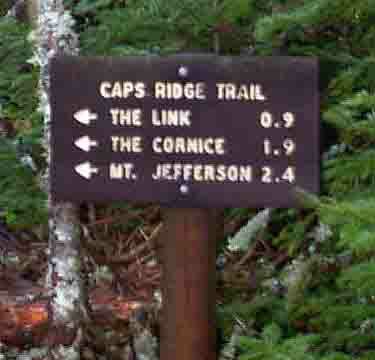 The trailhead for the Caps Ridge Trail. The trail begins off Jefferson Notch Rd about 3 miles north of the Mt Washington Cog Railway base road. 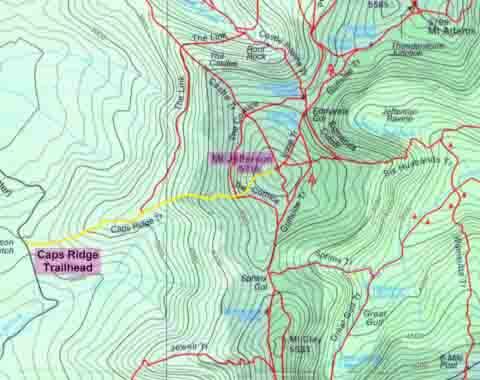 At 3008 ft, it's the highest trailhead on a public road in the White Mountains. Never-the-less, this is still a long rocky climb, much of it above treeline. 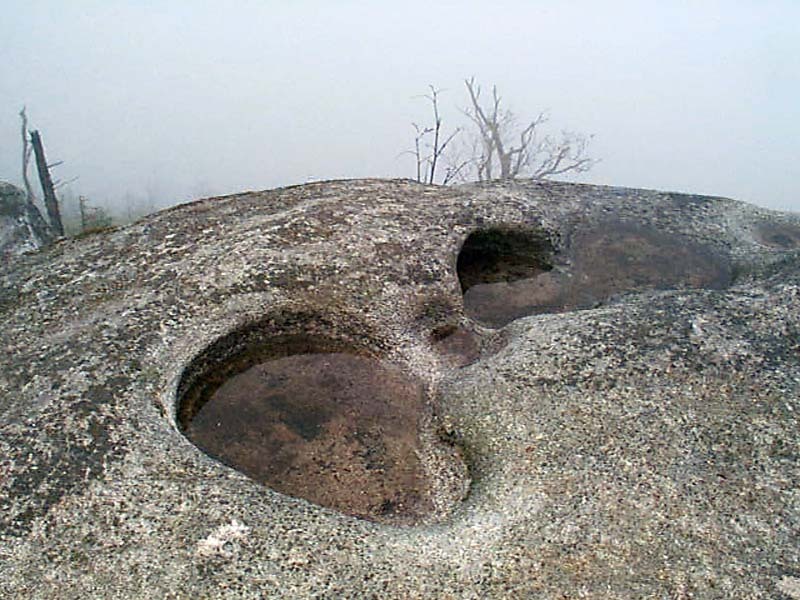 Boulder with glacial potholes. These potholes were formed by rivers formed by the melting of the continental ice sheet. 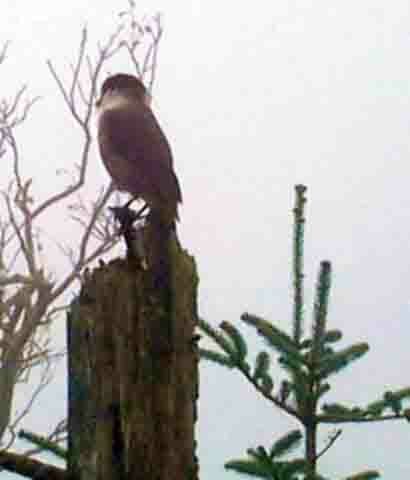 Canada Jay sitting on a stump. 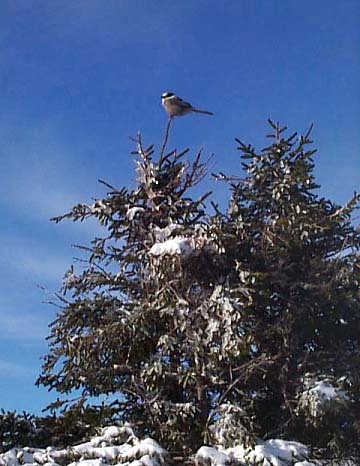 Canada Jays are very tame and always hang around hikers looking for food. He was looking at me until I took this picture when he turned his head just in time to miss looking at the camera.